As readers of Entanglements know, a healthy debate has broken out over the question of whether the United States should be intervening around the world to “promote the cause of freedom.” Obviously, Afghanistan is uppermost in the writers’ minds, though Iraq, Iran, Kosovo, Burma, and Darfur have also been mentioned. As a supporter of Barack Obama’s policy in Afghanistan as the least bad of the possible options, I want to look at one of the essential ingredients of this debate: democracy promotion. 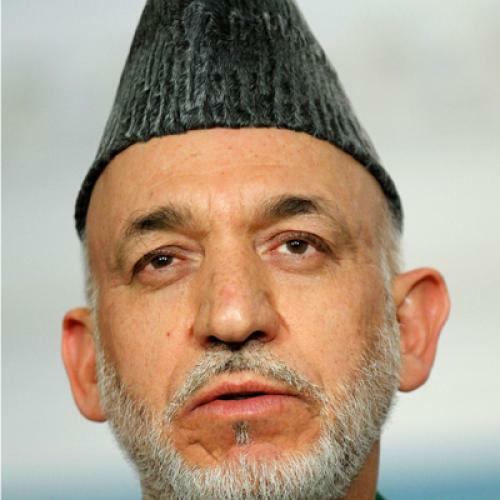 We have tried to foster democracies in both Iraq and Afghanistan, but these policies, I would argue, have in fact been very different, and whatever the failings of the Karzai regime, our efforts in Afghanistan have been more realistic than our initial efforts in Iraq were. Some of this is clearly due to the contrasts in personality between George W. Bush and Barack Obama, but much of it, I would say, is the result of lessons we have learned from our experience in Iraq. At least, I hope that’s true. Think back to Bush’s Second Inaugural Address of January, 2005. It was, he said, his “freedom speech.” Bush declared: “There is only one force of history that can break the reign of hatred and resentment….and that is the force of human freedom….The best hope for peace in our world is the expansion of freedom in all the world….So it is the policy of the United States to seek and support the growth of democratic movements and institutions in every nation and culture…. Eventually, the call of freedom comes to every mind and every soul.” And so on, and so on. This unearthly rhetoric was Wilsonianism, Texas-style; self-indulgence masquerading as morality; foreign policy for fantasists. The speech was a demonstration of why realists are called Realists. And much to the sorrow of many Americans—and many more Iraqis—it quickly revealed its limitations. For the Jeffersonian message Bush was preaching makes sense only in an American, or Western, context, where a moral language is shared and fundamental assumptions aren’t examined too closely. People are endowed by their creator with certain unalienable rights? Sez who, responds an Iraqi or Afghan. As David Rieff rightly points out, what freedom means in many parts of the world is the right to slaughter your neighbors. And yet, and yet, something resembling democracy currently exists in Iraq. Its roots are shallow, and it could fall apart tomorrow, or even later today. But it’s still worth asking how this fragile peace has come about. How did a country on the verge of an unimaginable abyss manage to pull itself back, and create something that could be the beginnings of a functioning government? The answer, I would suggest, lies not with the Surge or the Sunni Awakening, though both of these were necessary components. The real reason, I’d say, was a fundamental change in the mentality of the Iraqis themselves. After much bloodshed, and the prospect of even more bloodshed to come, democracy—or whatever we want to call the present arrangement—seemed the least-bad option available. Iraq’s tribal leaders and power brokers learned, often to their distress, that no one of them was strong enough to dictate to all the others, and that the compromises of democracy were the only alternative to endless killing. This is more an uneasy and suspicious truce than a devotion to “the cause of freedom.” To put it another way, it’s really nothing other than simple pragmatism. But that may be enough. For the sake of Iraq—and for our own sake as well—we should hope that it is. It will surprise no one if the Iraqi government collapses. But then, too, it shouldn’t surprise us if it succeeds. For if the experience in Iraq doesn’t reflect Jeffersonian idealism, it does lend support to the ideas of another theorist of democracy, one to whom most Americans have not given sufficient attention: Baruch Spinoza. Spinoza argues for democracy not in a Jeffersonian mode but in a Hobbesian one. In the best Hobbesian fashion he says that every individual seeks what is to his or her benefit, that “we call good or bad that which is advantageous, or an obstacle, to the preservation of our being.” Our existence is indeed a war of all against all. Yet because we live among other people, what is most to our advantage is to live under a system of law. It seems to me that we have been approaching democracy promotion in Afghanistan more in this pessimistic spirit of Spinoza than in the optimistic spirit of Jefferson. That’s a very good thing. Democracy may not be the best solution to Afghanistan’s problems, but in the absence of a strongman able to hold the country together, it’s probably the least bad one. Will our policy work? That is to say, will the Afghans “come to their senses” and figure out that cooperation is better than killing each other? I don’t know. And neither do the other contributors to Entanglements. For that matter, neither do General Petraeus or President Obama. But there are some grounds for optimism. The Iraqis had to go through horrendous bloodletting before they decided to give peace a chance. The Afghans have already had their bloodletting, which began with the Soviet coup in 1978 and has continued pretty much nonstop ever since. Millions have lost their lives. Exhaustion is as good an argument for democratic pragmatism as any. What’s more, most Afghans have no interest in imposing their rule on neighbors from other tribes. Only the Taliban is trying to do that, which is why the major objective of the American intervention is not “winning” (whatever that means), but convincing the Taliban, militarily, politically and diplomatically, that it will never be able to conquer Afghanistan again. Doing that will take time, perhaps more time than Obama’s July 2011 deadline for the start of an American withdrawal allows for. There will be setbacks, conflicts, contradictions, and probably an ugly episode or two. Idealists should look away. But this kind of democracy promotion seems to me a reasonable goal to pursue, especially given the choices in Afghanistan—and as long as we approach the task with no illusions. After all, does anyone have a better idea? Barry Gewen has been an editor at The New York Times Book Review for over 20 years. He has written frequently for The Book Review, as well as for other sections of The Times. His essays have also appeared in World Affairs, The American Interest, World Policy Journal, and Dissent.